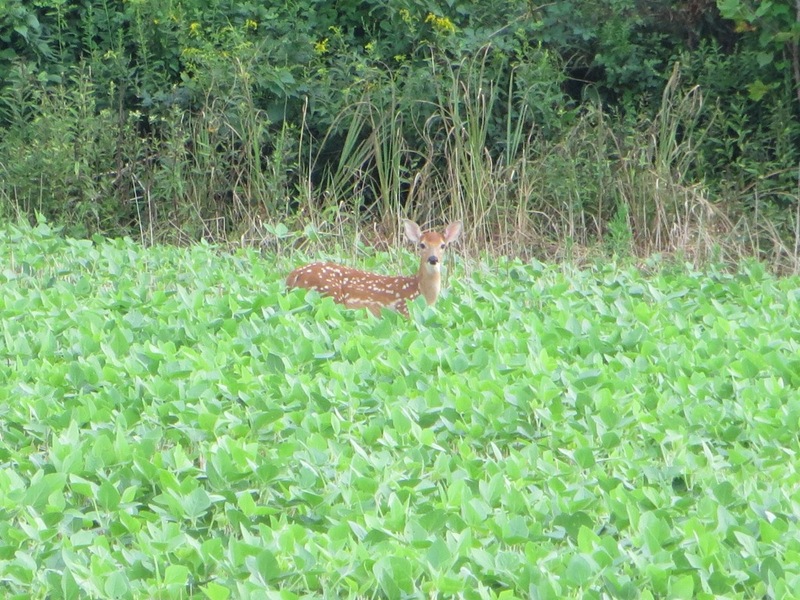 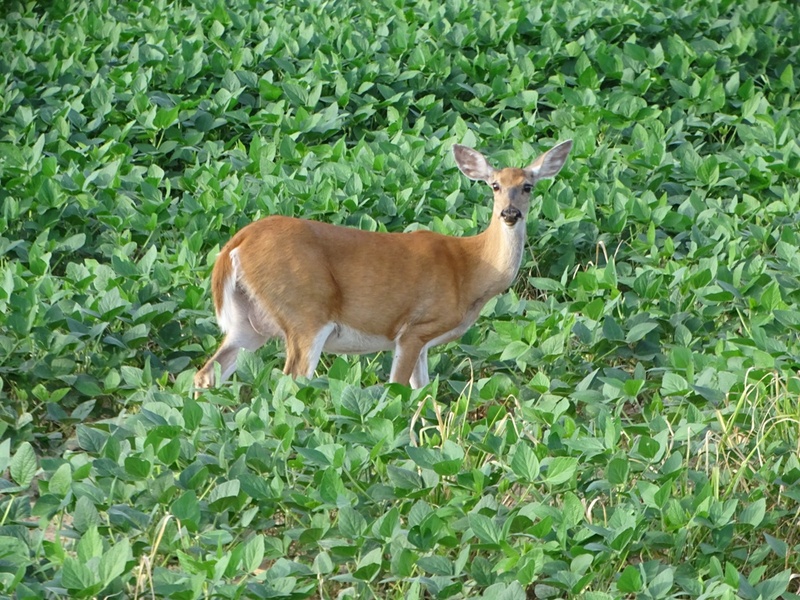 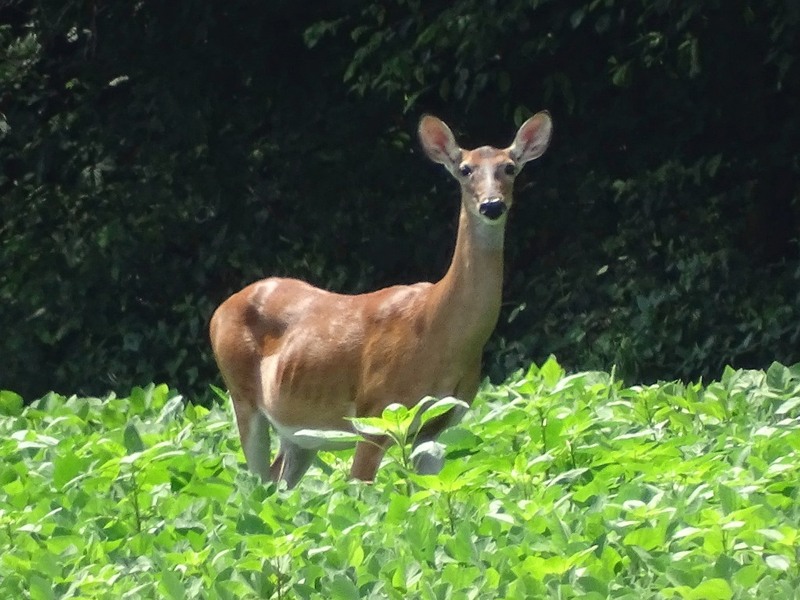 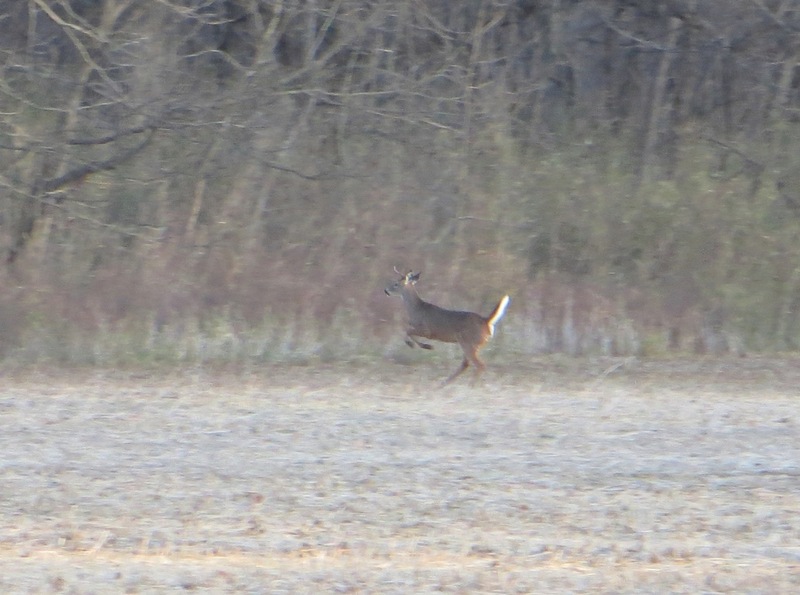 In the above photo, the deer was feeding out in the back of a soybean field in the middle of a hot afternoon. 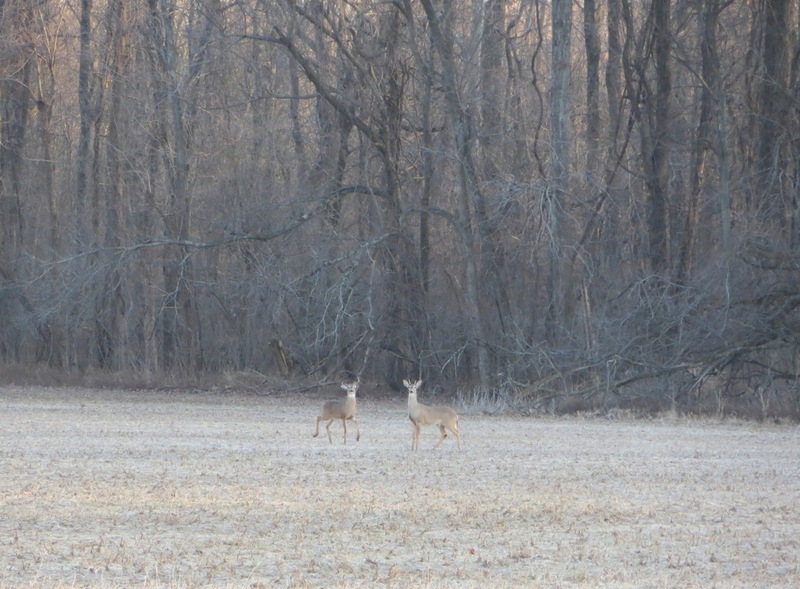 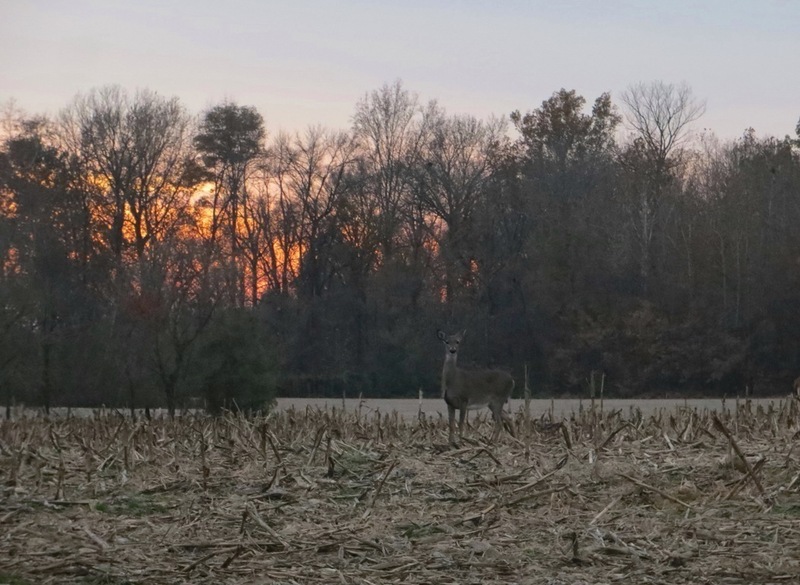 The photo below was taken at dusk — a cooler time when the light is low and deer are usually more active. 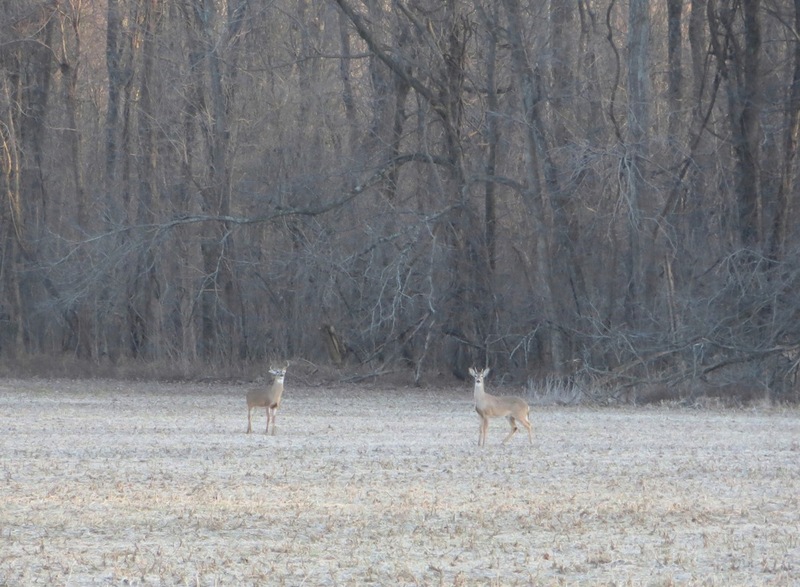 We rounded the bend in a road and could see several grazing on vegetation off in the distance.